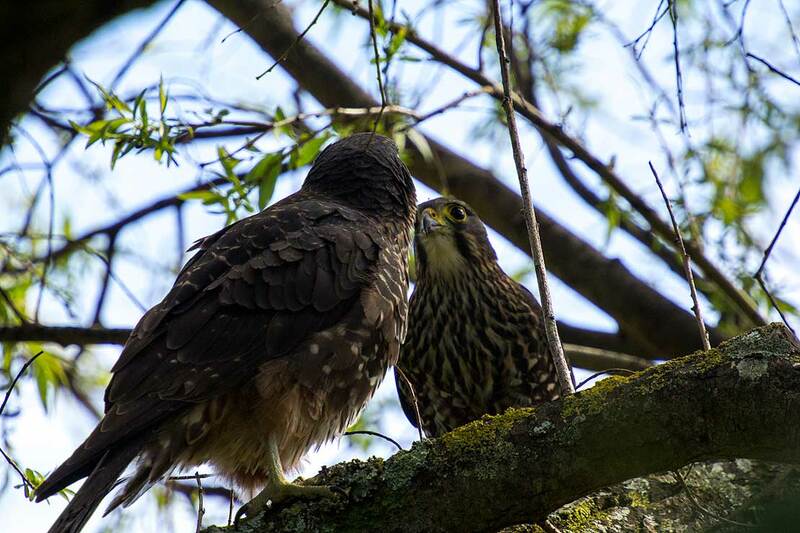 A male and female kārearea have chosen Massey University as their hunting ground recently, giving staff and students rare glimpses of the bird of prey. 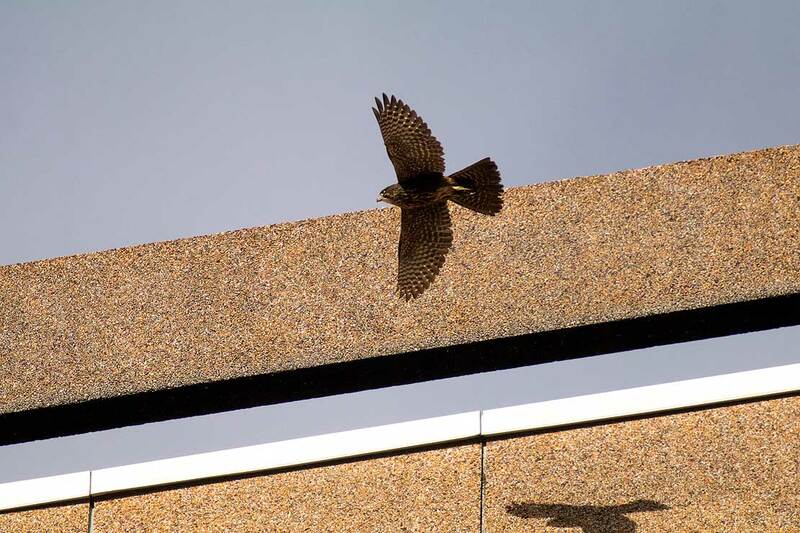 New Zealand’s only native falcon, the pair have been spotted around the University’s Manawatū campus for the past six months, most notably on one of the tallest buildings on campus, the Vet Tower, where they have an unobstructed view of prey below. Associate Professor Phil Battley of the Institute of Agriculture and Environment, says the falcons have been the talk of the campus. “We are probably the only university in New Zealand to have resident falcons, which is pretty amazing as most people never get a chance to see the birds up-close in their lives, other than on the $20 bill, so it’s been really great to have two on campus for such a long time. Video shot by Tracy Harris. Ecology Technician Cleland Wallace has been one of the many who have been following the birds with a camera, trying to capture the perfect shot. They have been spotted mainly in the AgHort buildings, Social Sciences Tower and the Vet Tower. They sometimes perch in trees just outside the lecture blocks, but photographing the birds in flight is a more difficult task. “In the past few weeks, the female has become significantly more vocal, perching on office windows and screeching at her own reflection, unaware of the audience behind the glass trying to work,” Mr Wallace says. The birds have also been spotted in the city, which is not surprising given their winter homes ranges can be up to 30 km2. When asked if the pair would breed, Dr Battley wasn’t keen to get people’s hopes up. Kārearea are found on both the North and South Islands of New Zealand with the Southern form listed by the Department of Conservation as ‘Threatened–Nationally Vulnerable’, and the Bush and Eastern forms as ‘At Risk–Recovering’. Estimates of their numbers range from around 5,000 to 8,000 but that number is uncertain, stemming from a lack of national survey data.